Irene Martina Actemichuk - Edmonton's Burial & Cremation Professionals | Trinity Funeral Home Ltd. It is with great sadness that we announce the peaceful passing of Irene at the age of 72. Irene is survived by her loving husband, Ron of 40 years and relatives in Winnipeg, Calgary and B.C. She is predeceased by her parents, Anita and Ben Hackey, her sister Linda Waldner and relatives in Winnipeg. Calgary and B.C. It was a pleasure to have known Irene and worked with her on the Creey Canada project in 2005. Very compassionate and always had a smile. Ron, our hearts and prayers go out to you and your family. Not what you signed up for, with retirement. Thank you very much for your kind thoughts Eric. Sorry to hear about. We’ve been neighbors for 20+years with Irene and Ron. Gonna miss her happy attitude, she always had a smile for all. Thank you very much Bernie and Garry for your kind thoughts and for being such wonderful neighbors all these years. We were so sorry to hear about Irene’s passing. We are sending our sincere condolences. We will always remember Irene right from the time she was a young girl. Our thoughts and prayers are with you during this difficult times. Thank you very much for your kind thoughts &or our Dear Irene. I was saddened to hear of Irene’s passing. 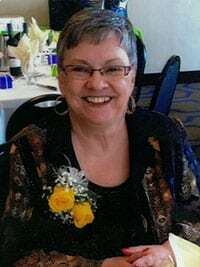 Her loss has brought many memories of our friendship over 66 years – childhood games and parties in Winnipeg, moving in together in Edmonton in the 1970’s, weddings for both of us and special birthday celebrations as we got older. Unfortunately with my family move to Calgary we did not see each other often in the past years. She was a force as a child and as an adult and I will miss that and her very much. My thoughts are with you Ron. Thank you very much Bonnie for your kind thoughts and words. Our sincere condolences Ron and to all family and friends of Irene. Thank you very much for your kind thoughts and words Gabrielle & Edmond. I am saddened to hear of Irene’s passing. My mind is constantly going over our years of friendship over the past 66 years from childhood in Winnipeg to her convincing me to move to Alberta and Edmonton and our unfortunately not so often visits after my move with my family to Calgary. She was such a fireball. My condolences to you Ron. Please accept my sincere condolences. May the love of those around you provide comfort and peace throughout this difficult time. My thoughts are with you. Thank you Christine for your kind thoughts and words. Patti for your kind thoughts and words.